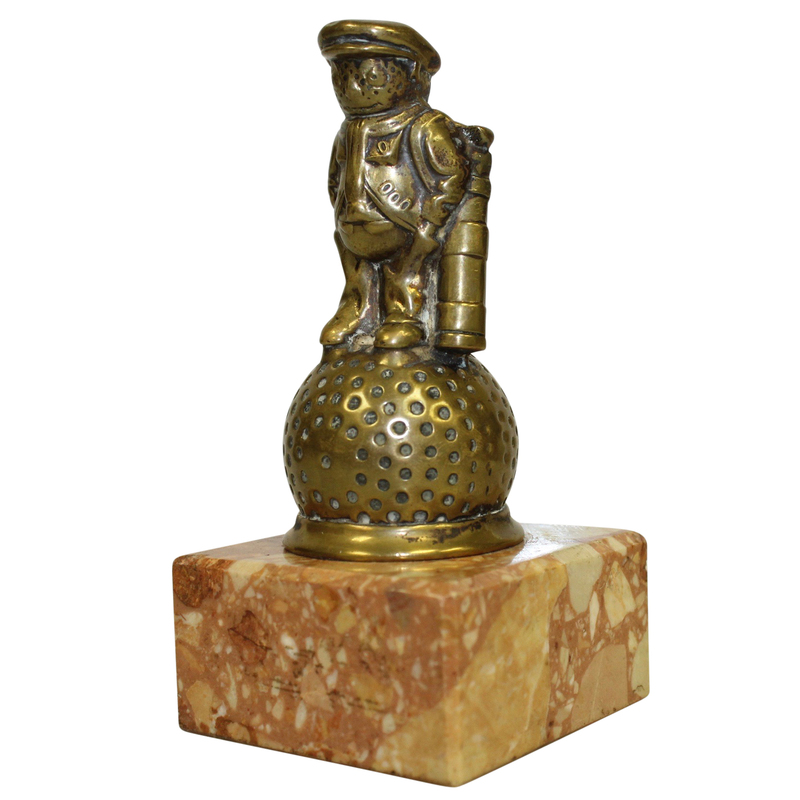 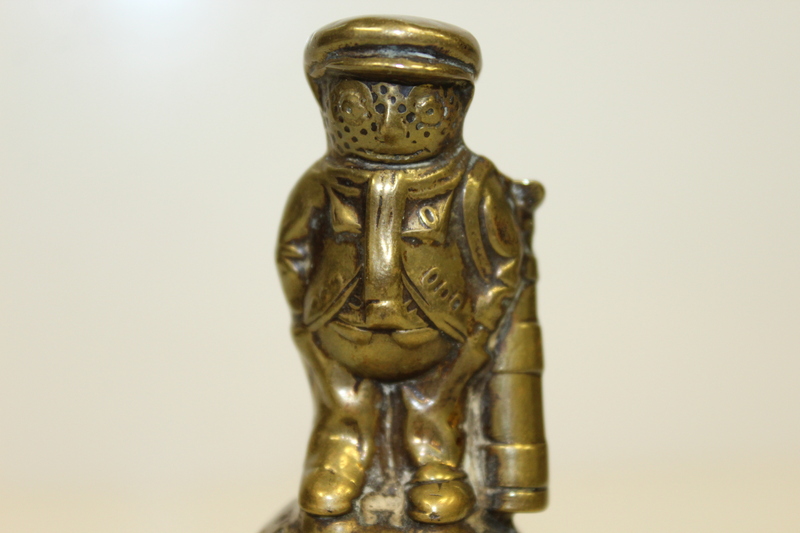 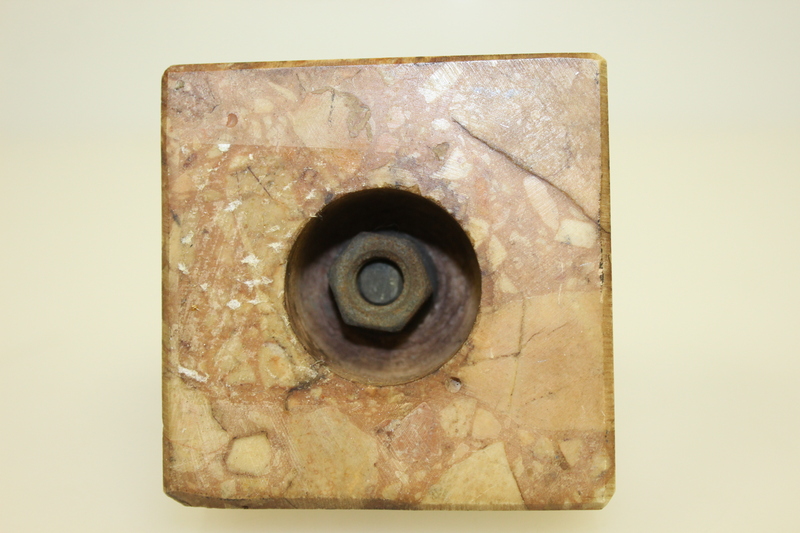 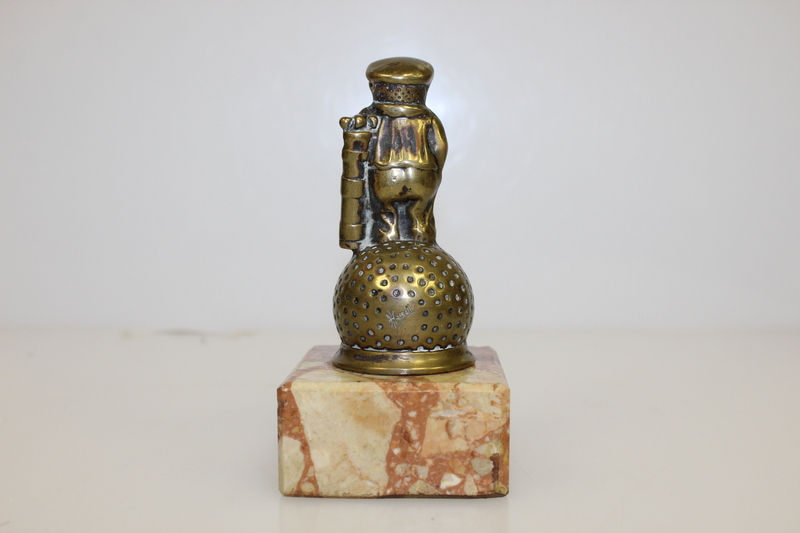 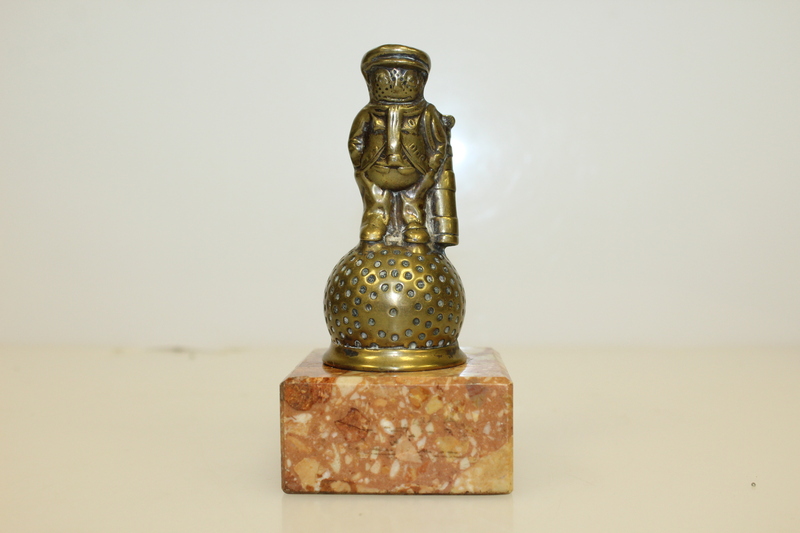 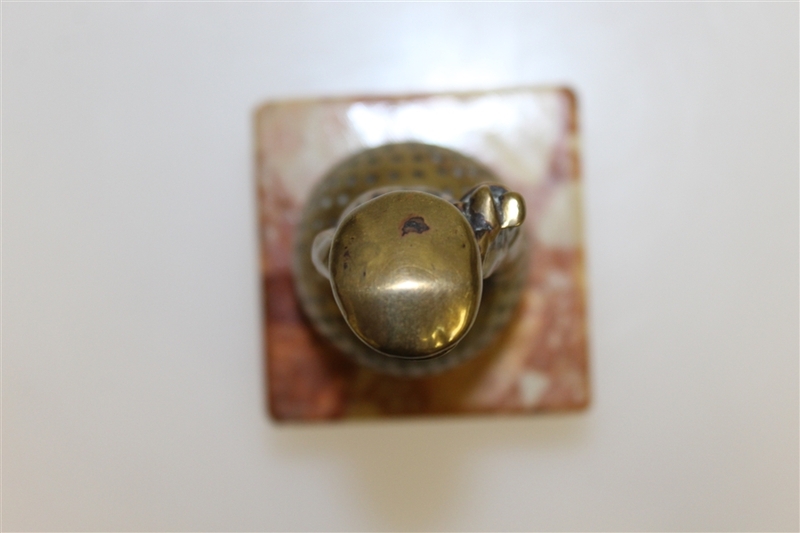 Here we have a brass Dunlop man figurine upon a marble base. 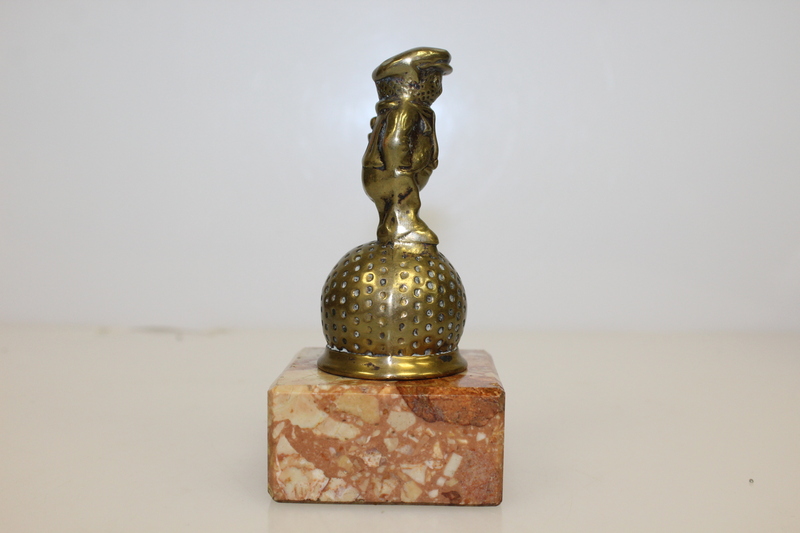 This piece stands 4 1/2" tall and is in great condition. The golfer sits upon a ball that is attached to the marble base. 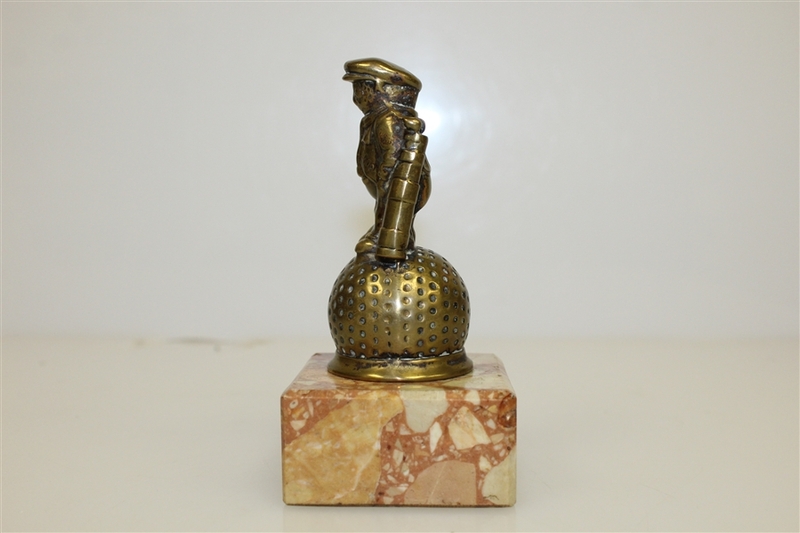 This marketing item for the Dunlop company would sit on the retail counter tops of places that sold Dunlop merchandise. 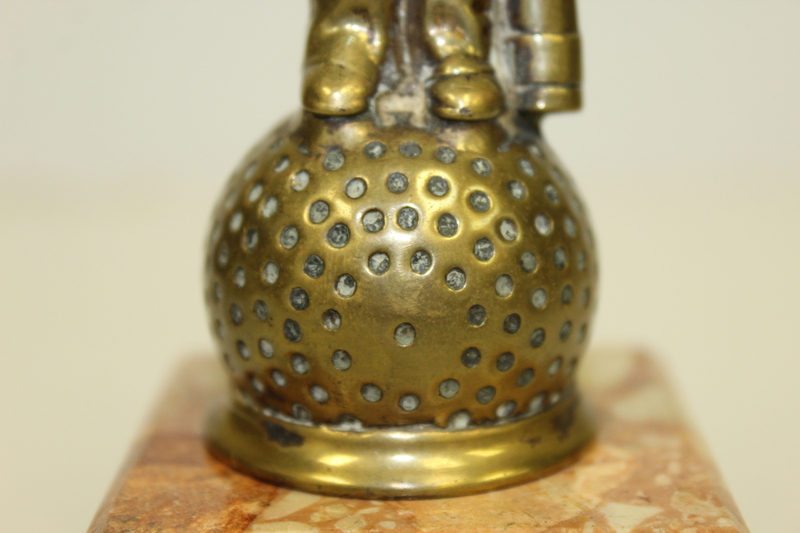 Dunlop began manufacturing rubber golf balls in 1910 and introduced the Maxfli ball in 1922.